There is something special in that moment when you take a book into your hands and let the words written on the printed page inside so you can become the communication channel between the writer and the people present in that space … or those watching the live stream. Sharing is caring assumes another meaning when performing this in a community, and that’s exactly what happened in Marosvásárhely/Târgu Mureș, as the Studium Prospero Foundation hosted, for the seventh year in a row, a 10-hour marathon reading in celebration of the Day of Hungarian Culture. 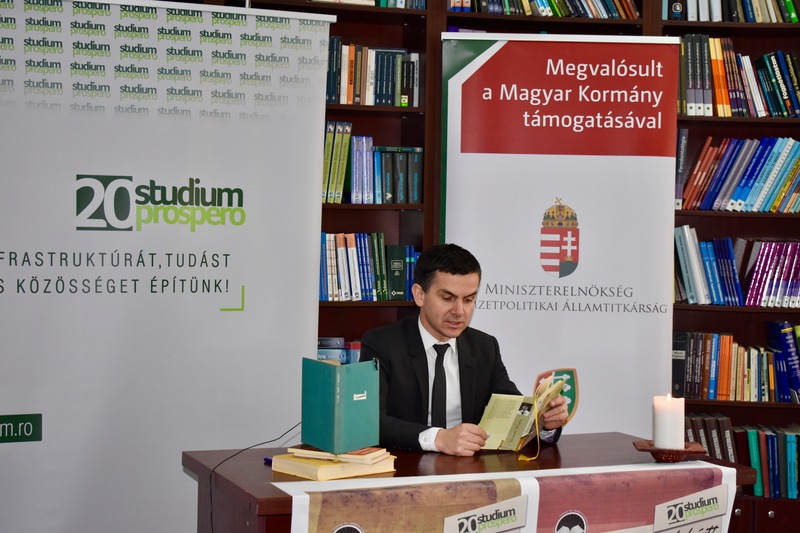 At noon precisely, Dr. Levente Vass the Executive Chairman of Studium Prospero Foundation, took a seat at the table specially arranged for this yearly event and kick-started the event with a poem signed by Endre Ady, one of Hungary’s greatest lyrical poets. He is one the many Hungarians who joined the marathon reading event and recited poems and novels from renowned Hungarian authors such as Kata Bethlen, Imre Kertész, Tibor Déry, Ignotus, László Arany, József Kármán, Sándor Márai, Miklós Radnóti, Elek Benedek, and many others. Anyone could bring their own preferred book, but the organizers offer a reading opportunity even for those who are “unprepared” by providing a list of books readily available in the place where the marathon reading happens. Each year students from various schools attend this special event, and this year is no exception. Pupils of the Roman Catholic Theological High School II Rákóczi Ferenc actively take part in the marathon reading, along with children from Primary School No. 7. Meanwhile, the National Theatre is also supporting the event, as 14 actors have announced their participation. Marathon reading already has a history in Marosvásárhely. It started with a 24-hour marathon reading organized in 2004 by a team of wholehearted young people, which put the whole city on the move. 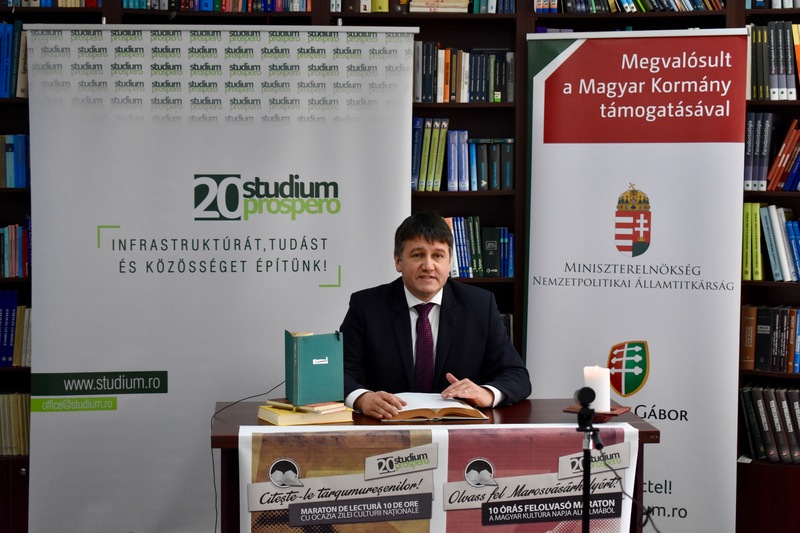 The Studium Prospero Foundation’s “Read for Marosvásárhely!” event continued this line with another 24-hour marathon reading, the first such event organized by the enthusiastic team. The positive feedback and demand for such cultural events have pushed the team to expand the annual marathon reading with additional events strictly related to Hungarian culture. Since only a week separates the Romanian Day of Culture (January 15, the birthday of renowned Romanian poet Mihai Eminescu), expanding the cultural events organized by the Studium Prospero Foundation to a whole week, embracing the Romanian and Roma cultures, was a natural turn of events. 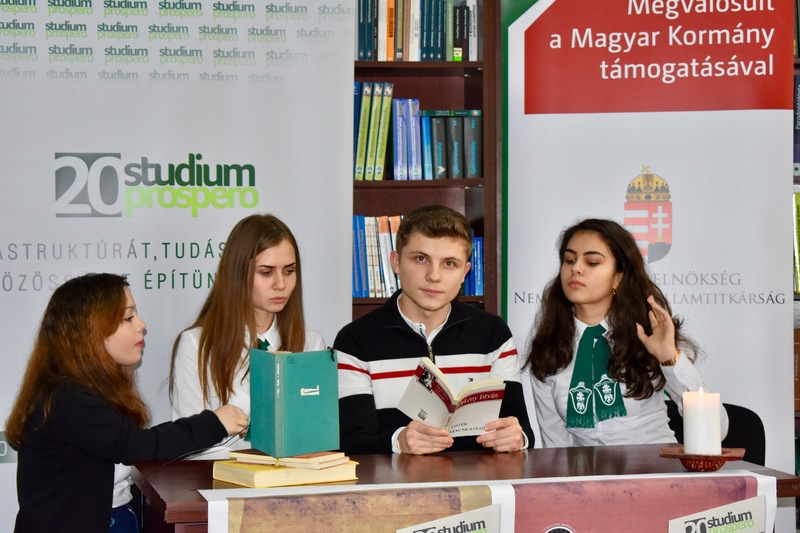 2019 is the first time that a series of events under the “Week of Culture” name has been organized, with the crown jewel being the “Read for Marosvásárhely!” marathon reading event, Noémi László and Réka Kovács, two members of the Studium Prospero team, told TransylvaniaNow. January 22 was designated the Day of Hungarian Culture, because on this day in 1823 Ferenc Kölcsey – one of the most important literary characters in Hungarian history – completed his manuscript of the Hungarian National Anthem. In 1844 Ferenc Erkel composed the music to the poem, and that’s when what later became the national anthem of Hungary, was born.